Hey there, cutiepie Commotions! After battling with and struggling through our exams, theses, and long days and nights in the UB, it's time for April's social! 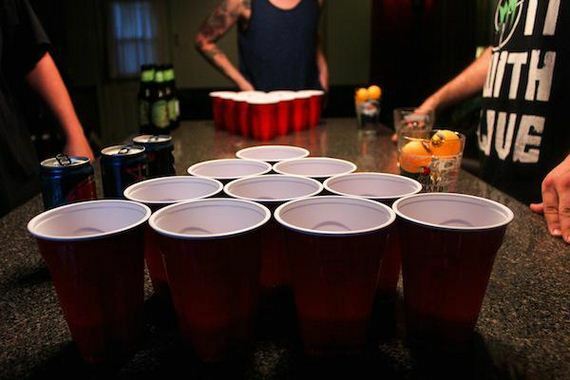 It's the perfect way to show your parents you're at least good at sómething (if you messed up your exams, that is), because we are organising Commotie's famous Beerpong Tournament! The social will be on April 16th and will start at 22:00. As asual, the social will be held at 't Golden Fust. Of course as always beers will be 1,50 and wine 2 euros. Lots of love and good luck if you've still got some exams or other stuff!